Existing Wi-Fi network,and it works in 2.4GHz Network only. Works with Amazon Alexa:Voice command can be available,making all kinds of controls easier and better. Arrange plugged-in electric device such as lamps;set schedules or timer.Its compact design only occupies one outlet socket and leaves room for other ones. Go to "Smart Home"section of your Alexa app in the Alexa app,use the hamburger menu icon to go into smart home page. Tap on "Get more smart home skills"in your smart home page. In the search bar to enable the tuya skill. Sign in your tuya account and enter your information in the pop up window and tap "Bind Now". Tap on"Discover devices"in the pop up window to find and control your tuya devices. If you don't see a pop up window,you can also find "Discover devices"in your Alexa smart home page. 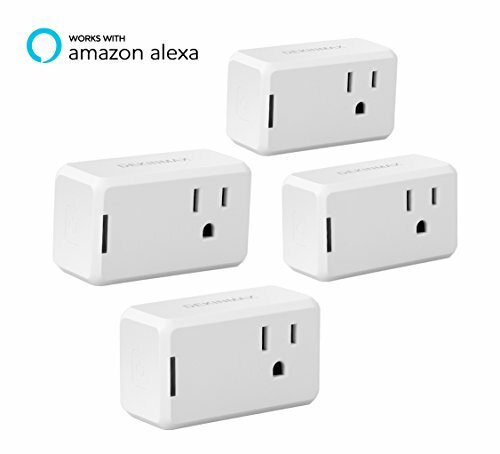 Alexa will take a few seconds to discover your devices.Once it is done,you should see all your remote control-enabled devices in your smart home page.